When it comes to drawing, artists, engineers and architects rely on their equipment in order to get their ideas across. With over 15 years of experience, Drafting Steals has delivered excellent products and service to their customers at an affordable price. They offer a wide variety of tools and equipment that is needed to make drawing and drafting project possible such as drafting tables, paper, drawing tools, furniture, and more. Supplying storage solutions, art drawing, architectural, and engineering equipment, Drafting Steals is an approved supplier for the American Design and Drafting Association. • An outstanding selection of products and brands. Whether it is CAD or drafting products, Drafting Steals has thousands of products available to customers. 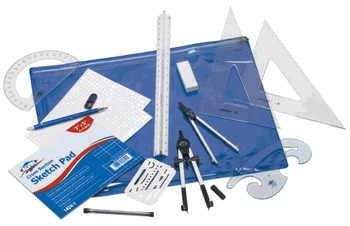 • They offer drawing and drafting equipment at an affordable price. Drafting Steals offers quality products at the lowest prices around for their customers. • Outstanding customer service. Drafting Steals prides itself on uncompromising customer service with knowledgeable customer service representatives and technical support personnel. • Drafting Steals offers fast shipping to customers. Customers who buy products at Drafting Steals have their orders shipped within 2-4 business days. They also offer expedited shipments when customers call their toll free number at 877-268-4427. • Drafting Seals offers a money back guarantee. Drafting Steals offers a money back guarantee to their customers. If the customer is not totally satisfied with their product, Drafting Seals will give a 100% credit, replacement or money back to them within 7 days of receiving a damaged item. Other items that do not meet the satisfaction of the customer can be returned within 30 to receive a refund. Other Drafting Steals benefits include a variety of ordering option. These options include a flexible online ordering with secure web order processing, telephone orders 8 am to 5 pm Monday-Friday, orders via fax and the mail. Payments are accepted through PayPal, Visa, American Express, Discover or Master Card.